This article is about the English county. For other uses, see Shropshire (disambiguation). "Salop" redirects here. For the beverage, see Saloop. 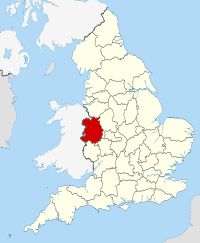 Shropshire (/ˈʃrɒpʃər, -ʃɪər/; alternatively Salop; abbreviated, in print only, Shrops; demonym Salopian /səˈloʊpiən/ sə-LOH-pee-ən, Welsh: Swydd Amwythig) is a county in the West Midlands of England, bordering Wales to the west, Cheshire to the north, Staffordshire to the east, and Worcestershire and Herefordshire to the south. Shropshire Council was created in 2009, a unitary authority taking over from the previous county council and five district councils. The borough of Telford and Wrekin has been a separate unitary authority since 1998 but continues to be included in the ceremonial county. 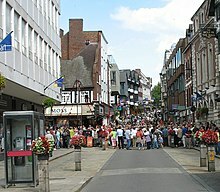 The county's population and economy is centred on five towns: the county town of Shrewsbury, which is culturally and historically important and close to the centre of the county; Telford, a new town in the east which was constructed around a number of older towns, most notably Wellington, Dawley and Madeley, which is today the most populous; and Oswestry in the northwest, Bridgnorth just to the south of Telford, and Ludlow in the south. The county has many market towns, including Whitchurch in the north, Newport northeast of Telford and Market Drayton in the northeast of the county. Section of Offa's Dyke near the Shropshire town of Clun, constructed after the Saxon annexation of the area in the 8th century AD. The area was once part of the lands of the Cornovii, which consisted of the modern day counties of Cheshire, Shropshire, north Staffordshire, north Herefordshire and eastern parts of Powys. This was a tribal Celtic iron age kingdom. Their capital in pre-Roman times was probably a hill fort on the Wrekin. Ptolemy's 2nd century Geography names one of their towns as being Viroconium Cornoviorum (Wroxeter), which became their capital under Roman rule and one of the largest settlements in Britain. After the Roman occupation of Britain ended in the 5th century, the Shropshire area was in the eastern part of the Welsh Kingdom of Powys; known in Welsh poetry as the Paradise of Powys. It was annexed to the Angle kingdom of Mercia by King Offa in the 8th century, at which time he built two significant dykes there to defend his territory against the Welsh or at least demarcate it. In subsequent centuries, the area suffered repeated Viking incursions, and fortresses were built at Bridgnorth (912) and Chirbury (913). The Iron Bridge at Ironbridge. Salop is an old name for Shropshire, historically used as an abbreviated form for post or telegrams, it is thought to derive from the Anglo-French "Salopesberia". It is normally replaced by the more contemporary "Shrops" although Shropshire residents are still referred to as "Salopians". Salop however, is also used as an alternative name for the county town, Shrewsbury, which also shares the motto of Floreat Salopia. When a county council for the county was first established in 1889, it was called Salop County Council. Following the Local Government Act 1972, Salop became the official name of the county. 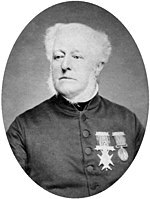 The name was not well-regarded locally however, and a subsequent campaign led by a local councillor, John Kenyon, succeeded in having both the county and council renamed as Shropshire in 1980. This took effect from 1 April of that year. River Severn, seen here in Shrewsbury, is the primary watercourse in the county. The Wrekin is a prominent geographical feature located in the east of the county. St Leonard's Church is a prominent historical landmark in Bridgnorth. The skyline of Ludlow, one of south Shropshire's market towns, dominated by its sizeable castle and church. The A49 is the main road through the area, running north to south, from Shrewsbury to Herefordshire. A railway line runs through the area on the same route as the A49 with stations at Church Stretton, Craven Arms and Ludlow. The steam heritage Severn Valley Railway runs from Bridgnorth into Worcestershire along the Severn Valley, terminating at Kidderminster Town. The landscape of the Long Mynd, to the west of Church Stretton. Harper Adams University, where on 10 January 1982 the coldest temperature ever in England was recorded. RAF Shawbury is located approximately 7 miles (11 km) NE of Shrewsbury, and 12 miles (19 km) NW of Telford. In a national poll in 2002 conducted by Plantlife International, the round-leaved sundew (drosera rotundifolia) was chosen as Shropshire's county flower. The round-leaved sundew is a crimson-coloured insectivorous plant that requires a boggy habitat. Due to habitat loss its range is now dramatically reduced and Shropshire's Longmynd is one of the few areas in England where it can now be found. Shropshire's motto is Floreat Salopia, meaning "May Shropshire flourish". BR loco No.31147 was named 'Floreat Salopia', frequently seen on trains through Shrewsbury, on 30/5/93 and denamed on 31/5/97 when it was presumably withdrawn from service. Shrewsbury is Shropshire's county town and seat of Shropshire Council. The whole county (including Telford and Wrekin) is served by the Shropshire Fire and Rescue Service. Shropshire's shirehall is located opposite Lord Hill's Column. Montgomery Canal at Maesbury Marsh. The direct InterCity from Shrewsbury to London Euston with a DVT and mailbags delivering the Royal Mail at a time when British Rail ran the network. The M54 Motorway runs through the east of the county, as far as Wellington. There are a number of major railway lines running through the county, including the Welsh Marches Line, the Heart of Wales Line, the Cambrian Line, the Shrewsbury to Chester Line and the Wolverhampton to Shrewsbury Line, as well as heritage railways including the well established Severn Valley Railway. The Cambrian Heritage Railway exists in Oswestry. The three train operating companies working in the county are West Midlands Trains, Transport for Wales and Virgin Trains. A new company, Wrexham & Shropshire, commenced services from Shropshire to London Marylebone, in spring 2008 but the service was discontinued on 28 January 2011 leaving Shrewsbury without a direct link to the capital. Virgin Trains recommenced services from Shrewsbury to London Euston on 11 December 2014, having withdrawn them in the late 1990s. The Royal Air Force's Defence Helicopter Flying School is based at RAF Shawbury. Shrewsbury's town centre contains the Darwin, Pride Hill and Riverside shopping centres, as well as more traditional historic retail areas. Telford Plaza in Telford Town Centre. Below is the chart of regional gross value added for the non-metropolitan county (that is, excluding Telford & Wrekin) of Shropshire at current basic prices, with figures in millions of British pounds sterling. Shrewsbury School, with its boathouse on the River Severn in the foreground. A 1984 film adaptation of A Christmas Carol was filmed in Shrewsbury. Scrooge's fictional grave remains in the churchyard of St. Chad's Church. Shropshire has been depicted and mentioned in a number of works of literature. 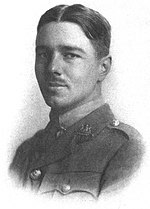 The poet A. E. Housman used Shropshire as the setting for many of the poems in his first book, A Shropshire Lad, and many of Malcolm Saville's children's books are set in Shropshire. Additionally, D. H. Lawrence's novella, St. Mawr, is partially set in the Longmynd area of South Shropshire. The early twentieth century novelist and poet Mary Webb was born in Shropshire and lived most of her life there, and all her novels are set there, most notably Precious Bane, with its powerful evocation of the Shropshire countryside. A school in Pontesbury bears her name. In Susanna Clarke's Jonathan Strange & Mr Norrell, Jonathan Strange is from the county, and some parts of the book are set there. Another fictional character from Shropshire is Mr Grindley, from Charles Dickens' Bleak House. P. G. Wodehouse's fictional Blandings Castle, the ancestral home of Clarence, the ninth Earl of Emsworth, is located in Shropshire. Also from Shropshire is Psmith, a fictional character in a series of Wodehouse's novels. In The Importance of Being Earnest, Algernon attempts to trick Jack into revealing the location of his country home by inferring he resides in Shropshire. The 1856 plantation literature novel White Acre vs. Black Acre by William M. Burwell features two Shropshire farms acting as an allegory for American slavery – White Acre Farm being the abolitionist Northern United States, and Black Acre Farm being the slaveholding Southern United States. The county has also appeared in film: the 1984 film version of Charles Dickens' A Christmas Carol was filmed in Shrewsbury. The 2005 sit-com The Green Green Grass is set in Shropshire and is filmed near Bridgnorth. Shrewsbury Abbey of Shropshire features in The Cadfael Chronicles; Brother Cadfael is a member of the community at the Abbey. In the film Howards End, Mr. Wilcox's daughter gets married in Shropshire. Part of the novel is set near Clun. The New Meadow football stadium, home to Shrewsbury Town Football Club. The three highest football (and only professional) clubs in the county are Shrewsbury Town (EFL League One), A.F.C. Telford United (National League North) and The New Saints (Welsh Premier League) in Oswestry. ^ "Privy Council Office-APPOINTMENT OF SHERIFFS". London Gazette. Retrieved 17 April 2019. ^ Rogers, Simon (19 May 2011). "Ethnic breakdown of England and Wales mapped". The Guardian. ^ "Salop definition and meaning". Collins Dictionary. Retrieved 8 April 2018. ^ SHROPS – What does SHROPS stand for? Acronyms and abbreviations by the Free Online Dictionary. Acronyms.thefreedictionary.com. Retrieved on 25 August 2011. ^ Shrewsbury – Tourist Information & Accommodation for Shrewsbury, Shropshire. ^ Wrexham & Shropshire :: Telford Archived 17 October 2007 at the Wayback Machine. ^ Ironbridge Page on UNESCO World Heritage website. Whc.unesco.org (6 March 2007). Retrieved on 25 August 2011. ^ "BBC - Shropshire - Features - Industrial Archeology". Bbc.co.uk. Retrieved 14 December 2018. ^ Shropshire Hills AONB. Shropshire Hills AONB. Retrieved on 25 August 2011. ^ Shropshire Council. Shropshire.gov.uk (15 July 2011). Retrieved on 25 August 2011. ^ website Archived 6 January 2009 at the Wayback Machine. Plantlife.org.uk. Retrieved on 25 August 2011. ^ Chisholm, Hugh, ed. (1911). "Shropshire § History" . Encyclopædia Britannica. 24 (11th ed.). Cambridge University Press. p. 1021. 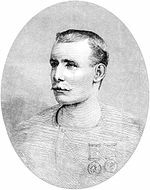 ^ "Roger de Montgomery, 1st earl of Shrewsbury - Norman noble". Encyclopedia Britannica. Retrieved 14 December 2018. ^ "Ludlow Castle". 14 November 2007. Archived from the original on 14 November 2007. Retrieved 14 December 2018. ^ Shrewsbury Museums Service – Shrewsbury Castle & The Shropshire Regimental Museum. Shrewsburymuseums.com. Retrieved on 25 August 2011. ^ Trinder, Barrie (1983). A History of Shropshire. Phillimore. p. 46. ^ Secret Shropshire Archived 28 September 2011 at the Wayback Machine. Secret Shropshire. Retrieved on 25 August 2011. ^ "Climate in Wales". Web.archive.org. Archived from the original on 14 August 2007. ^ Williams, Ann (2003). Æthelred the Unready: The Ill-Counselled King. London: Hambeldon & London. pp. 77–78. ISBN 1-85285-382-4. ^ a b "Shropshire County Council". Shropshirehistory.com. The term "Salopian", derived from "Salop", is still used to mean "from Shropshire" and Salop can also mean the county town Shrewsbury. ^ "Shropshire County Council". Shropshirehistory.com. One of the reasons why Salop was unpopular was the fact that if you add the letter “E” and make it “Salope”, this is a French word and means “B*tch or Loose Woman”. ^ "No. 48124". The London Gazette. 11 March 1980. p. 3797. ^ Toursim, Shropshire. "Map of Church Stretton - Accommodation, Shops and More". Retrieved 16 August 2016. ^ "Shropshire – MSN Encarta". Archived from the original on 18 July 2008. Retrieved 24 February 2008. ^ "Shawbury 1981–2010 averages". UK government. Met Office. Retrieved 14 June 2016. ^ "Shropshire Flag". Britishcountyflags.com. 25 May 2013. Retrieved 14 December 2018. ^ "Heraldry of the world - Heraldrywiki". webarchive.loc.gov. 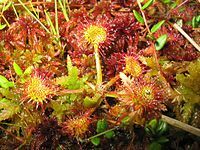 ^ "Round-leaved sundew". 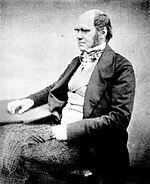 Plantlife.org.uk. Retrieved 14 December 2018. ^ "Drosera rotundifolia : Gwlithlys Crynddail - NBN Atlas". Species.nbnatlas.org. Retrieved 14 December 2018. ^ "Drosera rotundifolia, Longmynd, Church Stretton, Shropshire, England". Ispotnature.org. Retrieved 14 December 2018. ^ "Saint-Milburga - Old English Church". Oldenglishchurch.org.uk. Retrieved 14 December 2018. ^ Shropshire Routes to Roots | Sources and collections | Trade directories Archived 12 August 2007 at the Wayback Machine Shropshire-cc.gov.uk (13 July 2007). Retrieved on 25 August 2011. ^ Shropshire – Your Place and Mine – Dawley. BBC. Retrieved on 25 August 2011. ^ Oakengates lined up for huge revamp « Shropshire Star. Shropshirestar.com. Retrieved on 25 August 2011. ^ Shrewsbury and Newport Canal Trust. Sncanal.org.uk. Retrieved on 25 August 2011. ^ "Last Wrexham-Shropshire-London train departs". BBC News. 28 January 2011. ^ "Direct rail services from Shropshire to London will start on December 14". Shropshire Star. 22 September 2014. ^ Lanyon, Emma-Kate. "Shropshire's Agricultural Collection". Discovershropshire.org.uk. Retrieved 14 December 2018. ^ Shropshire Towns – Towns in Shropshire, Shrewsbury, Ironbridge, Ludlow, Bridgnorth, Oswestry. Shropshiretourism.co.uk (21 March 2011). Retrieved on 25 August 2011. ^ 'Gateway to Wales'. British-towns.net. Retrieved on 25 August 2011. ^ a b Lords Hansard text for 20 Jul 200920 July 2009 (pt 0002). Publications.parliament.uk (20 July 2009). Retrieved on 25 August 2011. ^ Call to reopen Wellington to Stafford Railway line « Shropshire Star. Shropshirestar.com. Retrieved on 25 August 2011. ^ Telford Shopping Centre. Telfordshopping.co.uk. Retrieved on 25 August 2011. ^ "Darwin Shopping Centre". Web.archive.org. Archived from the original on 27 September 2007. ^ "Müller - Faqs". 23 May 2008. Archived from the original on 23 May 2008. Retrieved 14 December 2018. ^ Contact Us Archived 22 September 2007 at the Wayback Machine. PDSA (29 July 2011). Retrieved on 25 August 2011. ^ "Wayback Machine" (PDF). 28 July 2011. Archived from the original (PDF) on 28 July 2011. Retrieved 14 December 2018. ^ Thomas, William Gwyn (25 June 2009). "A report on the quality of education in Llanfyllin High School". Estyn. Retrieved 26 April 2015. ^ "Newport Nocturne Returns". 28 August 2008. Archived from the original on 28 August 2008. Retrieved 14 December 2018. Wikimedia Commons has media related to Shropshire. Wikivoyage has a travel guide for Shropshire. Telford is a large new town in the borough of Telford and Wrekin and ceremonial county of Shropshire, England, about 13 miles (21 km) east of Shrewsbury, and 30 miles (48 km) north west of Birmingham. With an estimated population of 175,271 in 2017 and around 155,000 in Telford itself, Telford is the largest town in Shropshire, and one of the fastest-growing towns in the United Kingdom. 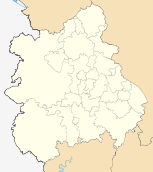 Telford and Wrekin is a unitary district with borough status in the West Midlands region of England. The district was created in 1974 as The Wrekin, then a non-metropolitan district of Shropshire. In 1998 the district became a unitary authority and was renamed Telford and Wrekin. It remains part of the Shropshire ceremonial county and shares institutions such as the Fire and Rescue Service and Community Health with the rest of Shropshire. North Shropshire was a local government district in Shropshire, England. The district council was based at Edinburgh House, in Wem. Other settlements included the towns of Ellesmere, Market Drayton, Wem and Whitchurch, as well as the large villages of Shawbury and Baschurch. 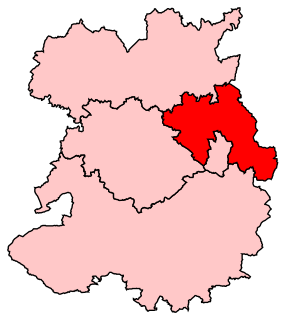 The district bordered onto Wales, Cheshire and Staffordshire as well as the Shropshire districts of Oswestry, Shrewsbury and Atcham and the unitary Telford and Wrekin. The English county of Shropshire has a fairly large railway network, with 19 National Rail stations on various national lines, as well as a small number of heritage and freight lines, including the famous heritage Severn Valley Railway running along its eastern border with Worcestershire. 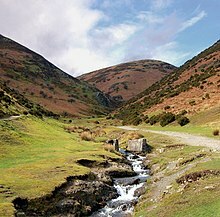 The Shropshire Hills area, in the English county of Shropshire, is designated as an Area of Outstanding Natural Beauty (AONB). It is located in the south of the county, extending to its border with Wales. Designated in 1958, the area encompasses 802 square kilometres (310 sq mi) of land primarily in south-west Shropshire, taking its name from the upland region of the Shropshire Hills. The A49 road and Welsh Marches Railway Line bisect the area north-south, passing through or near Shrewsbury, Church Stretton, Craven Arms and Ludlow. Ludlow is a constituency represented in the House of Commons of the UK Parliament since 2005 by Philip Dunne, a Conservative. The Wrekin is a constituency in the House of Commons of the British Parliament, located in the county of Shropshire in the West Midlands of England. It has existed continuously since its creation by the Representation of the People Act 1918, and is named after a prominent landmark hill in the area, The Wrekin. The constituency has periodically swung back and forth between the Labour and Conservative parties since the 1920s, and has been held since 2005 by a Conservative MP, Mark Pritchard. Madeley is a town and civil parish in Shropshire, England, now part of the new town of Telford. The parish had a population of 17,935 at the 2001 census. This is a list of civil parishes in the ceremonial county of Shropshire, England. The Shropshire Hills is an upland area and one of the natural regions of England. They lie wholly within the county of Shropshire and encompass several distinctive and well-known landmarks, such as the Long Mynd, Wenlock Edge, The Wrekin and the Clees.